Who is the Mystery Striker? Social media and forums are abuzz with the gossip that a striker signing on loan is imminent. It has meant all element of reasonable thought or sense has gone out the window. For one people started blindly believing a fake Colin Fray account which had minimal followers, 4 tweets and BBC tweeting to confirm its fake. Someone suggests a name and suddenly that’s gospel that he is coming, and various fans aren’t checking to see where this came from. It’s like a huge game of Chinese whispers, where even the known fake agent accounts suddenly look sane and believable. So let’s take a look at the weird and the wonderful names being suggested. The Norwich strikers name went into overdrive on the #NFFC timeline on Twitter helped by the fake Colin fray account mentioned above. Hours later, and after being proven it’s a fake account people are still suggesting they heard Colin fray said its happening. Is there any truth in this mystery? I can’t even begin to think this is. 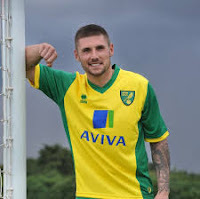 Hooper has been been told he can leave but Norwich are seeking to sell rather than loan very cheaply. Murray was prolific in the Championship a few years ago, as Palace got promoted/ Since then, and after a long injury Palace have improved their squad to the point Murray is a fringe player. Now with ex Red Patrick Bamford moving there he’s another spot further away from the team, and is getting linked. With the 25 player limits in the Premier League he may become surplus and be available to loan. The Cardiff strikers name has been mentioned by people I’m not sure are aware he left Manchester United and thought last season he was on loan. He played over 20 games for the Welshmen last season and as far as I can tell they don’t intend to sell him. As well a couple of decent loans have been some less than productive ones. I also have a mental block to Italians at Forest seeing as so far all Italians have failed miserably here. 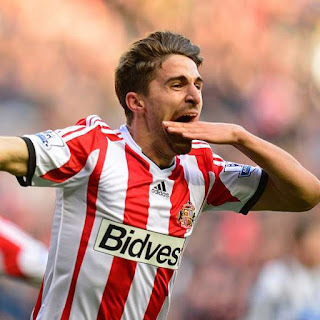 Linked with a Liverpool exit, Borini has played for a number of top clubs since making his name scoring v Forest for Swansea. Serie A newbies carpi are looking at him and Fiotentina are linked as well. Therefore with top flight European interest, the chances of getting a player of his ilk is unlikely. Other Premiership clubs or European qualified clubs would surely jump at the Italian, whether that is Serie A, Bundlesliga, or La Liga. Forest fans need to know the Championship is probably not preferable to even Ligue 1 or some Eredivise clubs. Clubs of this level would probably fancy Borini. Lazily linked by those who know Villa signed him a couple of years ago and he hasn’t played much. Which is in part due to an 18 month injury lay off with a broken leg. Kozak has started getting game time this preseason, especially after Benteke’s departure. The only deal would be short term till he heals but do we want a player trying to get fit when we could get fully fit players.